For breakfast our first morning we went to Paris Bakery. This place has a great story and you can read it here. It was like the “Cheers” of bakeries. A local woman walked in the door and the server had her coffee poured and pastry plated before she made it to the counter. It happened again with two other gentlemen. The bakery cases were stuffed full of amazing pastries, cakes and cookies. Our decision was not an easy one. I picked the almond croissant. Look at it! How can you resist it? It tasted as good as it looked. Full of just enough almond paste and not too almondy (yep, I made that up!). 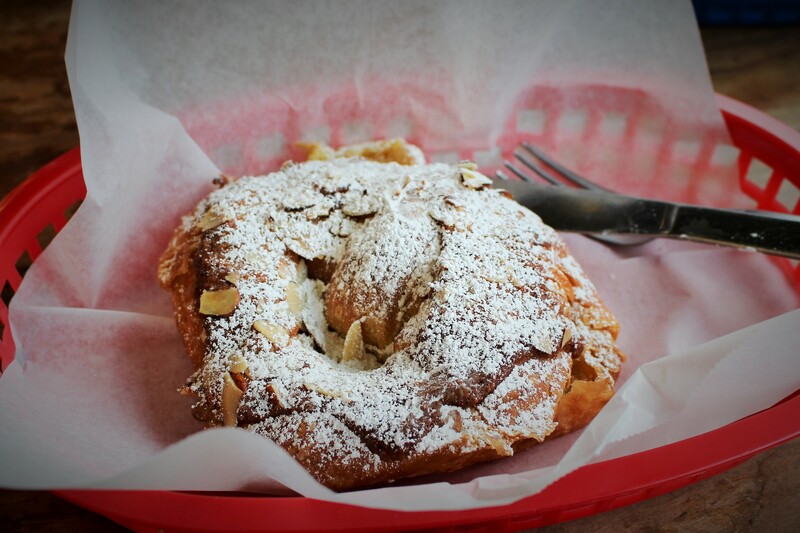 Sprinkled with toasted almonds and powdered sugar. 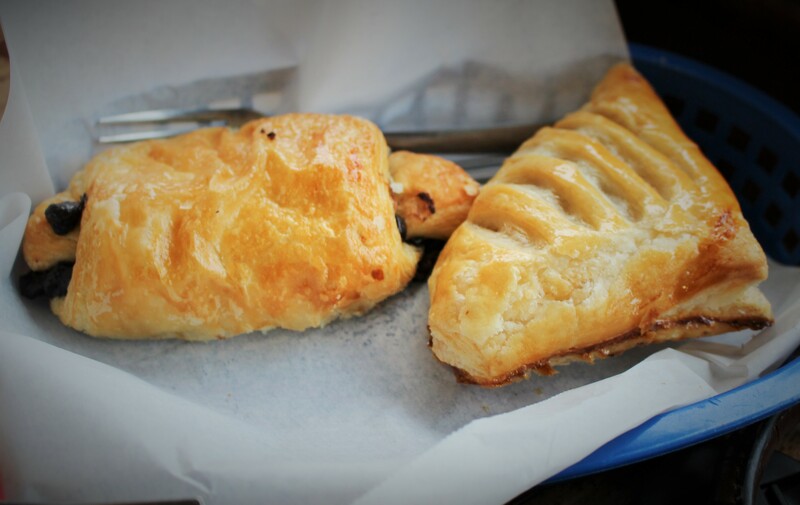 Daughter couldn’t decide, so she ordered the chocolate croissant AND apple turnover. She loved them both. I could tell the croissant was her favorite because it was gone in seconds. She made it halfway through the turnover before she could stop herself. My caffe latte was really tasty. 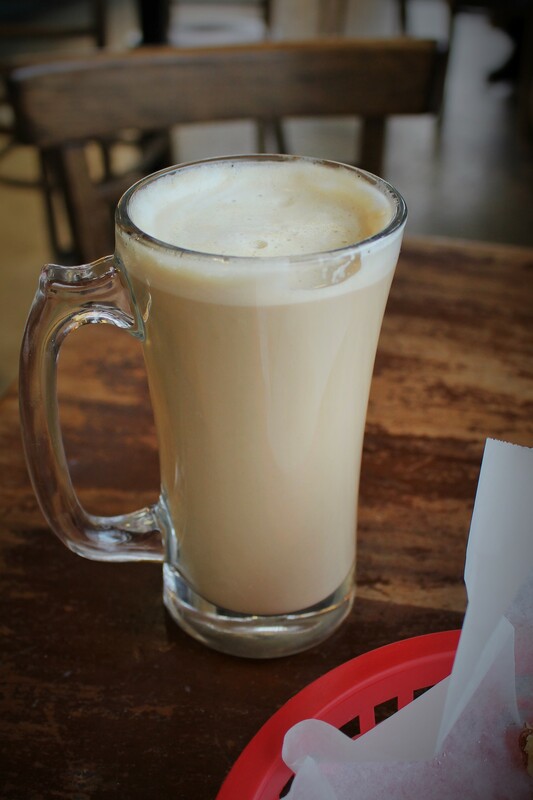 I love it when lattes are served in a glass or glass mug. It makes me feel so European. It is no coincidence that I kept seeing Paris Bakery boxes wherever I went. It turns out the Spindrift Inn buys their breakfast pastries at Paris. 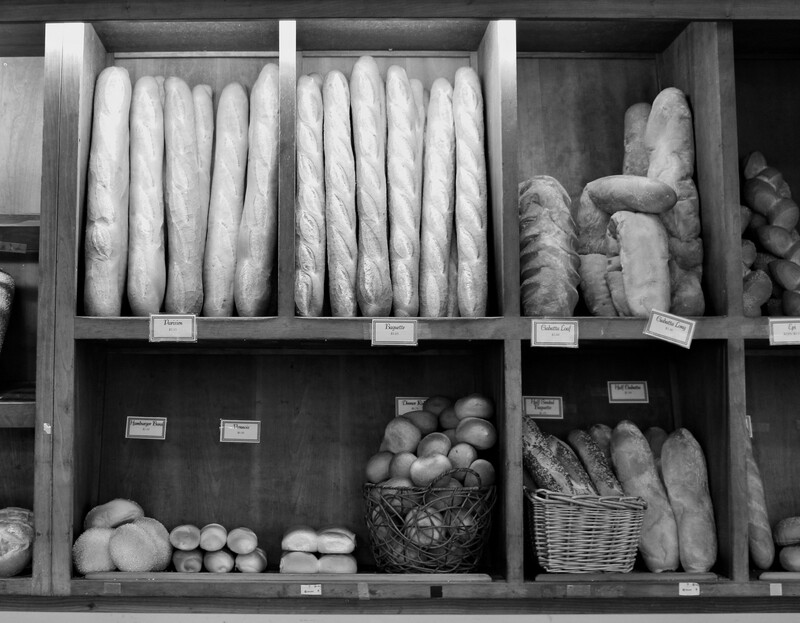 Two days later in Carmel Highlands I saw their baguettes at a service station/coffee bar!